KABUL, Afghanistan — One after another, the bodies arrived on the steep hill in western Kabul. “Oh, brothers, slow! 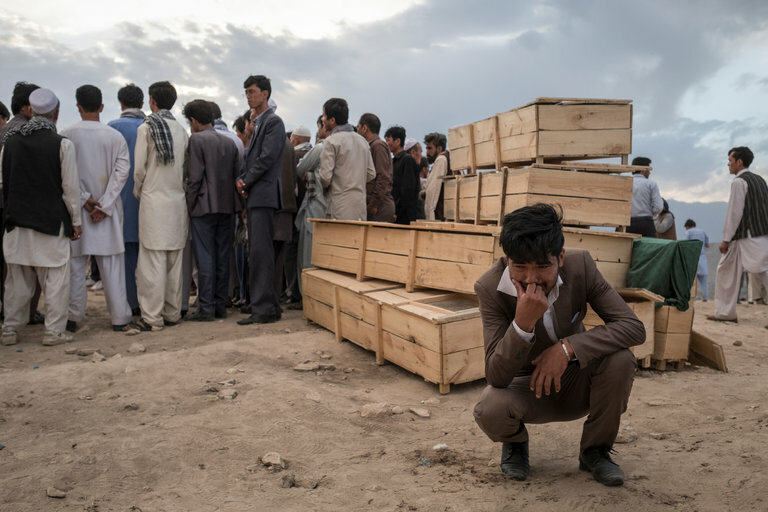 Slow!” one mourner at the grave of Muhammad Hassan, a 25-year-old construction worker killed in the bombing, urged the men piling dirt over the next grave. Dust covered the white turban of the mullah who crouched over Mr. Hassan’s headstone, reading from a little book of prayer.